Earn 95 points to spend on future purchases. Eson 2's updated RollFit seal is softer, lighter and more compact than the original; but it contains increased structural support to improve fit and comfort. To accommodate a wide variety of face shapes, the RollFit Seal "rolls" back and forth on the nasal bridge seamlessly adjusting fit while you sleep to ensure a reliable, adaptable, and effective seal while providing pressure relief on the nose. Eson 2's intuitive, stitchless headgear is simple to use and soft to the touch. Once it has been adjusted Eson 2 Headgear can be applied and removed by simply stretching it over the head. There's never a need to unclip or readjust the headgear straps. For users who prefer the traditional clip fitting method though, Eson 2 Headgear allows that too with updated ergonomic clips and improved fasteners. A slimmer Easy Frame on the Eson 2 provides stability in a minimalist format ensuring a clearer line of sight, so your sleep therapy feels less restrictive and cumbersome. One Easy Frame fits all three seal sizes too so changing your mask size is as easy as buying a new cushion. 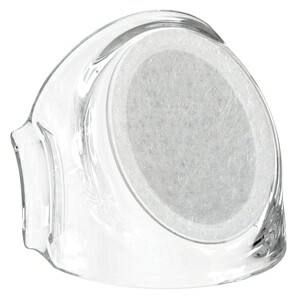 ECO FRIENDLY DIFFUSER REDUCES NOISE LEVELS! The Eson 2 is an exceptionally quiet mask at just 31 dBA average; but every mask pack comes complete with an elbow diffuser that decreases sound levels even more -- by around 10 dBA -- and disperses exhaust airflow to reduce partner disturbance. 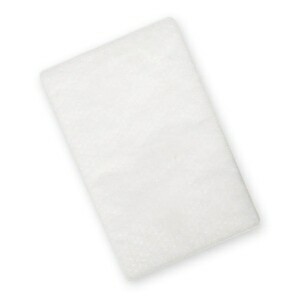 To top it off Eson 2's Diffuser has been strengthened and is now washable to make the mask more Eco Friendly! Blue highlights, incorporated into key components of the Eson 2 Nasal Mask, provide visual cues to the user that make the mask easy to orient, assemble and disassemble your mask. 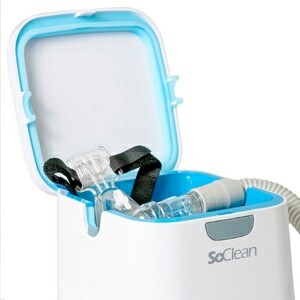 In the Package Eson 2 CPAP & BiPAP Mask with RollFit Nasal Seal and Adjustable Headgear. It's nearly a 5 star mask. 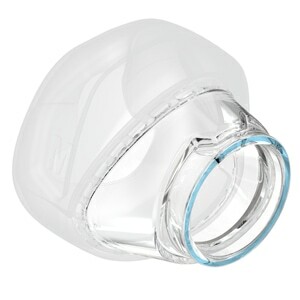 F&P have done a very good job of progressing CPAP technology with their devices by figuring out that a filter on the outflow of a mask greatly decreases, and nearly eliminates, air flowing out and blowing onto the user or their partner. However, there is still work to be done, because, as nicely as the out flow of air is nearly gone, in my case, I hear a slight "hiss" on every breath I take in. Yes, it is coming from the outflow filter. If I put my finger on the filter and breathe in, no hiss. I would like to see F&P create filters that have different outflow capacity, some with less and some with more. That way different users can try different flow capacity filters and then we can choose which one works best for our breathing and machine settings, and or course, our own individual sensitivities to noises and air flow, etc... I have a new F&P Eson 2 mask and it is very very good. It holds a very nice seal without the need for too much strap pressure. And the other excellent benefit is that the seal holds when I am only my back sleeping or when I turn to my side. Some masks have better seals for back sleeping while others are better for side sleeping. This Eson 2 works for both, at least it does in my case. I think the forehead to nose brace piece is the engineering that is providing that stability so that turning from side to back to side, still holds the mask in place. I really like it. Now, the thing I have to work on, and get used to, is the "hiss" sound whenever I take a breath. I am learning to fall asleep, but the sound is just loud enough that I notice it and it takes me a bit longer to fall asleep, and when I wake up towards the morning it's taking a bit longer to get back into sleep mode. Overall, this is a great mask and the filter F&P use is a great addition. I recommend trying it with the full return policy from directhomemedical. I LOVE that we can do that, and that service keeps me coming back here. Have been using this model for years, I like the few updates on the new version of it. Fast turn around on order and arrived as expected. New product in excellent condition. Fast shipping. I like the mask. It’s comfortable, fits good, with no leaks. I find the head gear of the Eson 2 to be a bit more comfortable and stay in place better than the Eson. Other than that I did not notice much difference. I've used Activa masks for years. Best I'd had, but very heavy. The Eson 2 is light, stays sealed in most positions, and is generally very comfortable. The headgear takes more adjustment than I like, and could probably be improved by NOT being so light, but all-in-all it is a good mask and if it maintains this degree of comfort and performance longterm, this will be my go to mask from now on. Very quiet and comfortable mask. I am so glad I purchased this mask. Excellent customer service. The only reason I gave it 4 stars, instead of 5 is because I probably ordered the nasal mask in a large. Seems to run a little small. However, very easy to disassemble to clean parts. Headgear is very comfortable. Best mask I ever had, and I've tried quite a few. This is a 'back up' to the mask I already have. The first night I used it, I slept 'like a top'. It is comfortable and it's like you don't have anything on. There are no pressure points that press against the gums or about your head. My original one is still in good shape, but when its time is finished, I have one I can immediately switch to. I was disappointed when Phillips Respronics discontinued the Comfort classic mask. I had been using it for about the last 8 to 10 years. Every time I tried a new mask it wasn't as good as the Comfort Classic. I was afraid I wouldn't find an acceptable new mask. The Eson 2 from Fisher and Paykel is a great mask. I toss and turn in the night and I have facial hair. The mask does not leak! My old mask I had to wear it very tight. This one I don't. I tried the medium and the large. Both work but the large fits a bit better. I think I have found my new mask. (Been sleeping with it for about a week now. I have been using a cpap for over 10 years, and the Eson mask for 2 years. It is the best fit for me of a wide variety I have tried. Staff at Direct Home Medical introduced me to this mask, and I have ordered my supplies from DHM ever since because the price is right, shiping is often free, and delivery is quick. 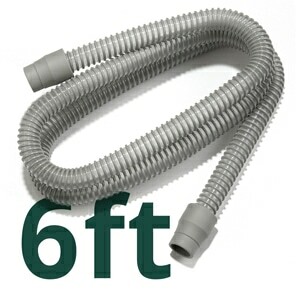 The mask is comfortable and allows flexibility with the rotating nozzle. As a side sleeper, I have a challenge keeping the mask on my face. I'm two days in and still want to give it a go given the overall comfort.